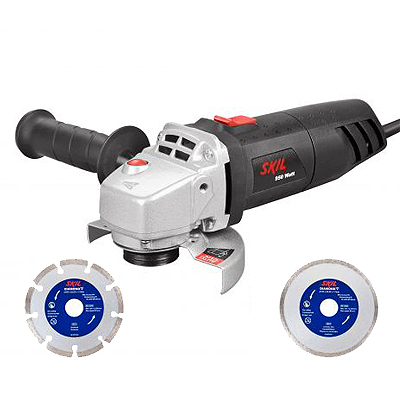 The SKIL 1043 has an ergonomic design, but don’t be fooled by the compact looks of this angle grinder. 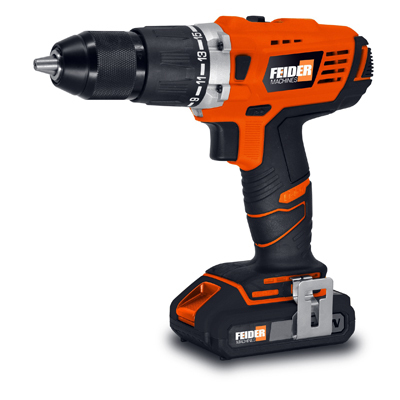 Its powerful 950W motor is more than enough to handle all the most common cutting and grinding jobs. The spindle-lock system allows you to change accessories easily and conveniently. The SKIL 1043 is easy to operate by both left- and right- handed users, thanks to the side handle that can be adjusted into two positions. The Auto ‘Clic’ system allows you to adjust the guard without a key, so you can easily deflect sparks in any desired direction. This angle grinder is equipped with electronic restart protection, which means the tool won’t restart automatically after a power shut-off. This angle grinder has a long three metre power cord for optimum working freedom. The SKIL 1043 is supplied with two high-quality diamond discs that are ideal for a wide variety of cutting jobs.